The eldest son of Brychan in the Brychan genealogies, his cult was an important one in Brycheiniog by the end of the twelfth century, as Gerald of Wales attests. Central to it was a relic, a torque or arm-ring, which was seen and described by Gerald, and is also mentioned, and imbued with various miraculous powers, in practically all the other sources: the genealogical accounts, two later medieval poems, and a tale collected from ‘the poor ignorant country people’ of Breconshire early in the eighteenth century. Several of the accounts describe or try to explain signs of damage on the torque, apparently a notable feature of the relic. The principal focus of the cult seems to have been at Merthyr Cynog BRE. 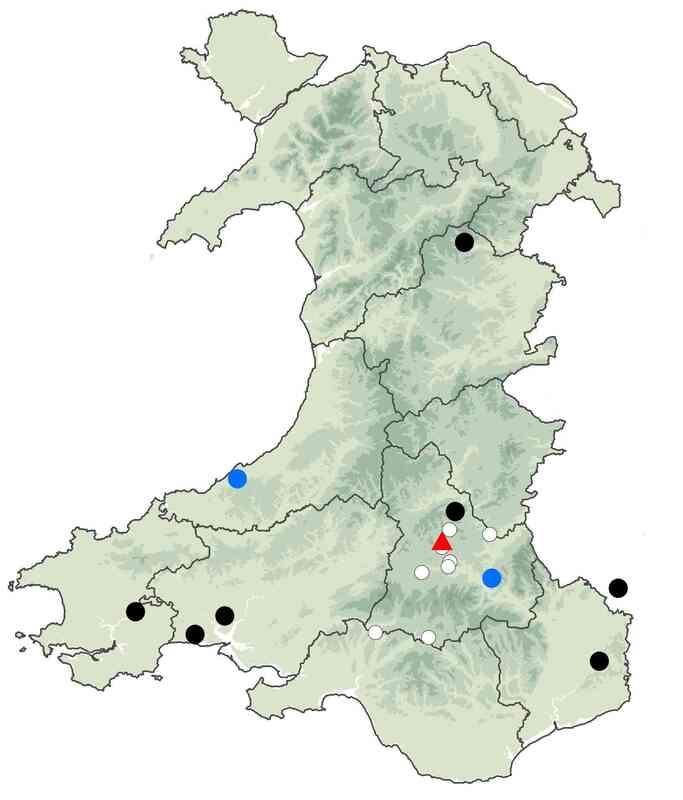 Other dedications are mostly in and near BRE, but there are inevitably uncertainties since Cynog was a recurrent name in early Wales, and other characters – including, for instance, David’s successor as bishop of St Davids – may also appear in place-names and dedications. 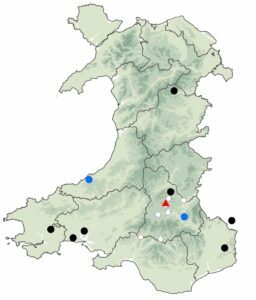 Of the geographical outliers here, it might be suggested that the three PEM and CRM place-names (including a second, now lost, instance of Merthyr Cynog) may involve a different Cynog, perhaps the bishop, but this cannot be known for certain. Although isolated to the north, there is some context to suggest that the eponym of Llangynog MTG was identified with the son of Brychan, at least by the eighteenth century. Knowledge of Cynog as Brychan’s son seems also to have reached Ireland and Cornwall, though nothing of substance is known, and most of the other names associated in Irish and Cornish traditions with Brychan’s wider family have little or nothing in common with those found in Welsh sources (Orme 2000: 29; Padel 2002: 319; EWGT 32–4, 133–4; Ó Riain 1985: 178–9; also the discussion in CynogDE). LBS ii, 264–71; TWS 178–84; Parsons 2013: 68–72; WCD 212–13; also Bowen 1969: 107–8; Evans and Francis 1994–5; Jones 1972; Thomas 1994: 131–62.